A smartphone that is 134 mm long with a display size of 4.7 inches and offers a resolution of 1280 x 720 pixels, the Redmi 2 Prime is a pocket-friendly device that grants you a superior visual experience. Colours have more depth and textures are more detailed making watching your favourite movie an even more enjoyable experience. The primary camera of 8MP comes with backside illumination with face recognition to get those tricky low-light group pictures. Added camera modes include HDR, Panorama, and burst mode so it doesn't matter if you are at a flower festival or trying out extreme sports because your Redmi 2 Prime makes sure you get the picture every time. What is more, with 16GB of space expandable up to 32GB you can store everything in one place without having to rely on having multiple devices. The Qualcomm Snapdragon processor lets you do more at once and with 2GB of RAM you can do all of that much quicker. With a 2265mAh battery, your smartphone is ready to go whenever you are. How fast is the Redmi 2 Prime? The Redmi 2 Prime is powered by the Qualcomm Snapdragon 410, 64-bit 1.2GHz processor and and Android 4.4.4 (KitKat) that is upgradable to 5.1.1 (Lollipop). This combination undoubtedly makes the phone win in speed and does let you multitask without lag. You can buy the latest Redmi 2 Prime in 2 colours: white and grey. Does this phone have FM? The Redmi 2 Prime do support stereo FM radio. How can I buy Redmi 2 Prime on EMI? You can buy the Redmi 2 Prime on easy EMIs from the Bajaj Finserv EMI Network. This Network has over 60,000 partner sellers both online and offline. You can visit the partner stores nearest you to avail in-store financing or use your Bajaj Finserv EMI Card to shop online or offline instantly. What are the documents I need to shop for Redmi 2 Prime on EMI? ou just need basic documents such as your ID proof and address proof, and submit a cancelled cheque. You also need to sign an ECS mandate. Built with an IPS LCD capacitive touchscreen display that promises and delivers superior HD quality visuals, this phone is just what you need if you spend most of your time watching shows and movies on your phone. 4G enabled, this Nokia model also comes with amazing expandable storage of up to 64GB. Add in its Android 8.1 Oreo OS and the Redmi 2 Prime indeed gives you a performance edge in your tasks. Its rear camera also deserves a mention with its face recognition, HDR, panorama and burst modes. Why wait for a sale to pocket in the Redmi 2 Prime. 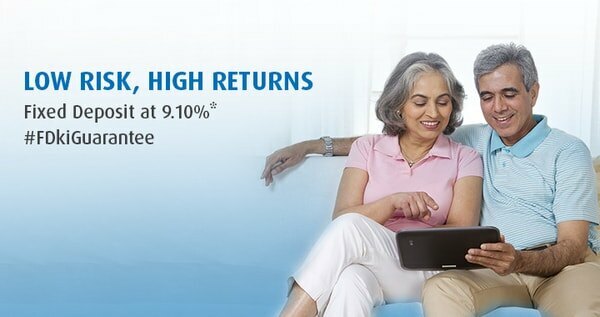 Now, you can shop for it easily on EMIs by the help of Bajaj Finserv. Just make your way to the Bajaj Finserv EMI Network and shop for a Redmi 2 Prime on EMIs. This hyperlocal platform lets you choose a retailer of your choice from over 60,000 sellers across 1300 Indian cities. All you need to do is choose a reputed e-commerce website or head to your nearest registered retailer and shop for the Redmi 2 Prime on EMIs by using the Bajaj Finserv EMI Network Card or avail in-store financing. When you choose the latter, you can complete the shopping with minimal documentation like your photo ID, a cancelled cheque, and an address proof. Also,you can access more financing options and your account details online using the customer portal, Experia.